In many respects, applying for jobs in academia is different from job applications in other sectors. What does an academic portfolio need to look like? Should I go to the interview in a suit or a sweater? Which expertise from my studies or previous work as a graduate student should I particulary emphasize? To start, this seminar will first adress the application process before an interview. Which kinds of PhD positions will fit my qualifications? 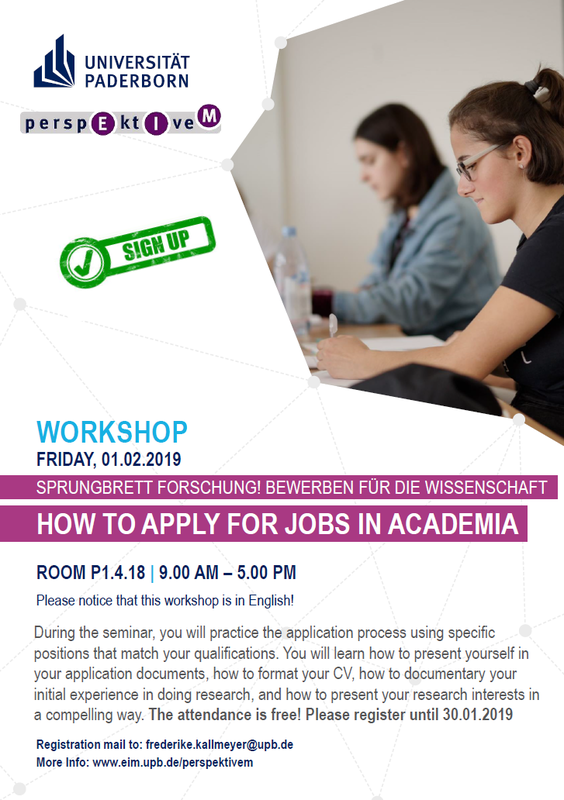 You will learn how to present yourself in your application documents, how to format your CV, how to document your initial experiences in doing research, and how to present your research interests in a compelling way. With this as basis, the second half of the seminar will deal with what happens after you are invited to a job interview, starting with preparing the interview, the kinds of critical questions that might come up, and giving a candidate lecture.